The SLR Magic 86mm Solid Neutral Density 1.2 Image Enhancer Filter is an ultraviolet and infrared control filter with a 16x filter factor that provides a 4-stop exposure reduction. It is useful for digital cinematography as well as still photography. While recording video with a CCD or CMOS camera, multi-stop neutral-density filters are frequently used to maintain proper exposure by compensating for increased light levels when widening the camera lens's iris to obtain a narrower depth of field. As the increased amount of light passes through multi-stop, neutral-density filtration, visible light is progressively blocked, while infrared light is allowed to pass through. As the proportion of infrared light that reaches the digital camera sensor becomes greater, the results can show unwanted color shifts, particularly in dark areas of the frame such as shadows, where the appearance of black is dominant. When the SLR Magic 86mm Solid Neutral Density 1.2 Image Enhancer Filter is applied, ultraviolet light waves along with infrared light waves are suppressed, helping to ensure that light falling on a digital camera sensor is limited to the visible spectrum. Its own 1.2 density creates a darkening of the entire image, allowing you to photograph with a wider aperture or slower shutter speed than normally required. 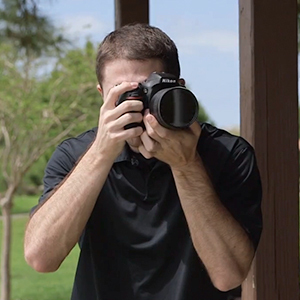 By slowing your exposure time or increasing your aperture with this filter, you can control depth of field and convey movement more easily within a range of 4 stops without the need for additional neutral-density filters. This filter's optical design also allows it to be used on top of a separately available SLR Magic Self-Locking Variable Neutral Density 0.4 to 1.8 Filter that features 86mm front filter threads. Together, that filter combination can provide a 5.3 to 10-stop exposure reduction without visible cross patterns when rotating the variable neutral density filter's front ring to adjust the amount of density applied by the filter combination. When used alone or along with an SLR Magic multi-stop, neutral-density filter while recording with a digital sensor, potential infrared color shifts are prevented or minimized, preserving color accuracy throughout the frame. This filter may also be used to help ensure that the appearance of unwanted blue casts is reduced while recording digital video or still photos under daylight that also features intense ultraviolet light. 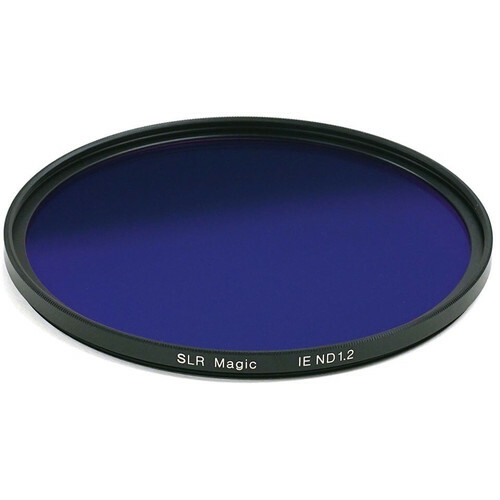 The front and rear surfaces of an SLR Magic 86mm Solid Neutral Density 1.2 Image Enhancer Filter include interference coatings that allow the filter to limit the light that falls on a digital camera sensor to the visible spectrum. A nano coating offers protection to the filter substrate, and results in an improved beading effect when in contact with water for greater cleaning efficiency. This filter is constructed from optical glass for clarity and features an aluminum-alloy filter ring for durability while remaining lightweight. Suppresses ultraviolet light waves, reducing bluish cast of daylight when recording video or still photos. Useful with CCD or CMOS sensors to filter out infrared light pollution that cause color shifts frequently associated with high-definition recording with multi-stop neutral-density filters. 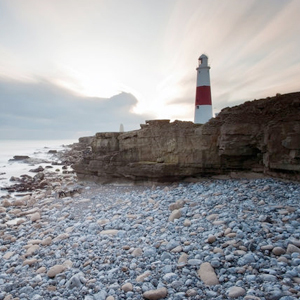 1.2 neutral density filter effect darkens the image, allowing you to photograph with a longer shutter speed or wider aperture than normally required. Interference coatings limits light that falls on a digital camera sensor to the visible spectrum. Nano coating offers protection to the filter substrate and results in an improved beading effect when in contact with water for greater cleaning efficiency. Can be used on top of a separately available SLR Magic Self-Locking Variable Neutral Density 0.4 to 1.8 Filter that features 86mm front filter threads to obtain a 5.3 to 10-stop exposure reduction. Box Dimensions (LxWxH) 5.75 x 4.4 x 0.8"